Do Your Kids Tend to Lose Their Stuff? 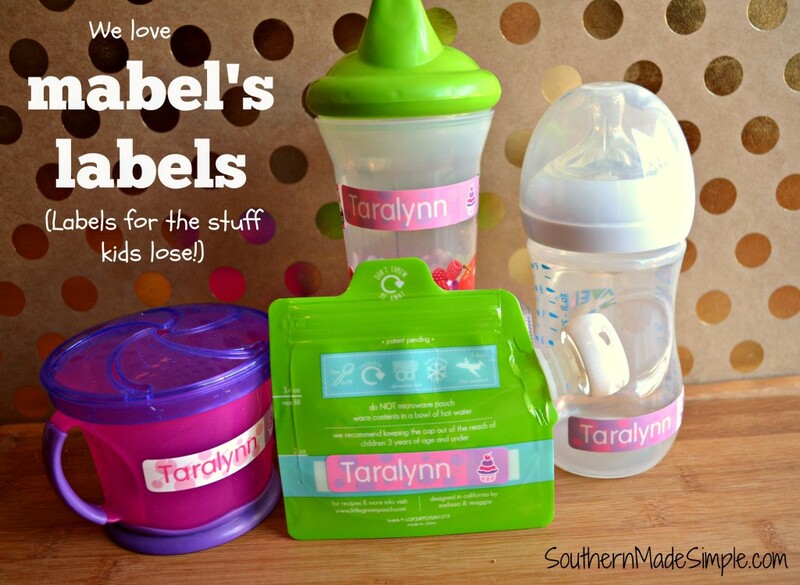 Mabel’s Labels Can Help! Affiliate links are included in this post. I received these products at no cost to facilitate my review. However, all thoughts and opinions expressed are completely my own. Picture this: Your child comes home from school without their lunch box. You assume that they just left it in their cubby or at their desk at school, so you remind your child to check the next day. Your child never finds their lunch box. It was unknowingly placed in the lost and found box in the office that neither of you even knew existed. It stays there for months, and then it is ultimately donated or thrown away because no one knew who it belonged to. Sad story, right? But how many times does something similar to this actually happen? Most parents can probably think of numerous times that their child has lost something. And if we’re perfectly honest here, I can think of a few times where I was the one that lost something that belonged to my daughter, Taralynn. We can all be forgetful sometimes! My daughter is currently 8 months old. She is not old enough to lose things on purpose, but she has definitely had things turn up missing before. She is at the age where throwing things on the floor, kicking off shoes and socks, and swapping toys with others is just part of her daily routine. It is so easy for her bottles and juice cups to wind up thrown across the floor without me even noticing. I’m also really bad about setting something down and never picking it back up. This is definitely not a good habit to have when you’re in a public place! That’s where Mabel’s Labels comes in to save the day, folks! Mabel’s Labels understands that sometimes things just get lost, and sometimes we’re forgetful and leave things sitting around for others to find. They’ve come up with a clever (and super cute) solution to help those lost items return to their owners. And it’s SO much nicer than getting out the ol’ black magic marker and tagging all of your items with your initials! I was sent a pack of 45 personalized peel-and-stick labels to review. They are such a perfect way to help this scatter-brained mama worry less about accidentally leaving things where they don’t belong. They’re even dish washer and microwave safe, so I know they’ll last a long time! My daughter does not attend day care, but I can imagine that these labels would be extremely useful in that type of setting. No more wondering about what cup or snack container belongs to what kid! As my daughter grows older and becomes more independent, I can definitely see her taking after her mama and leaving her cups/toys laying around at our church or at a friends house and neglecting to pick them up. With these labels on all of her items, they’ll have no problem finding their way back to us. What a relief! You can purchase these fabulous labels that I’ve reviewed for just $21.00 for a pack of 45. Be sure to check out all of their other labels and combo packages while you’re at it! 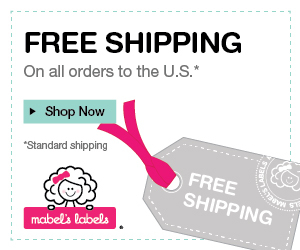 And as if Mabel’s Labels wasn’t already awesome enough, they offer FREE US shipping on all orders. No expiration date, and no minimum! Click the banner below to visit their site and start customizing your own labels! 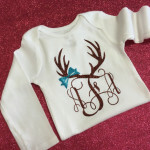 The Cutest Kids Tops come from Enchanted by Ellie! 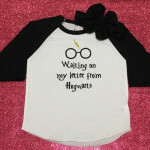 Friends, I must tell you about this insanely adorable Etsy shop I stumbled upon recently! (And just in time for Valentine’s Day, too!) 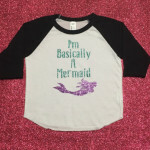 Enchanted by Ellie has the cutest selection of tees and everything glitter for infants, children and even moms! If the part where I mentioned “glitter” wasn’t enough to have you sold, maybe a peek at some of their apparel will. 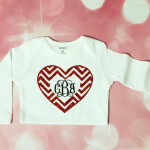 Hello, monogram cuteness! You are definitely calling my name! Warning: Clicking on these pictures will probably cause you to fall in love and suffer from uncontrollable urges to purchase everything at once. Trust me. 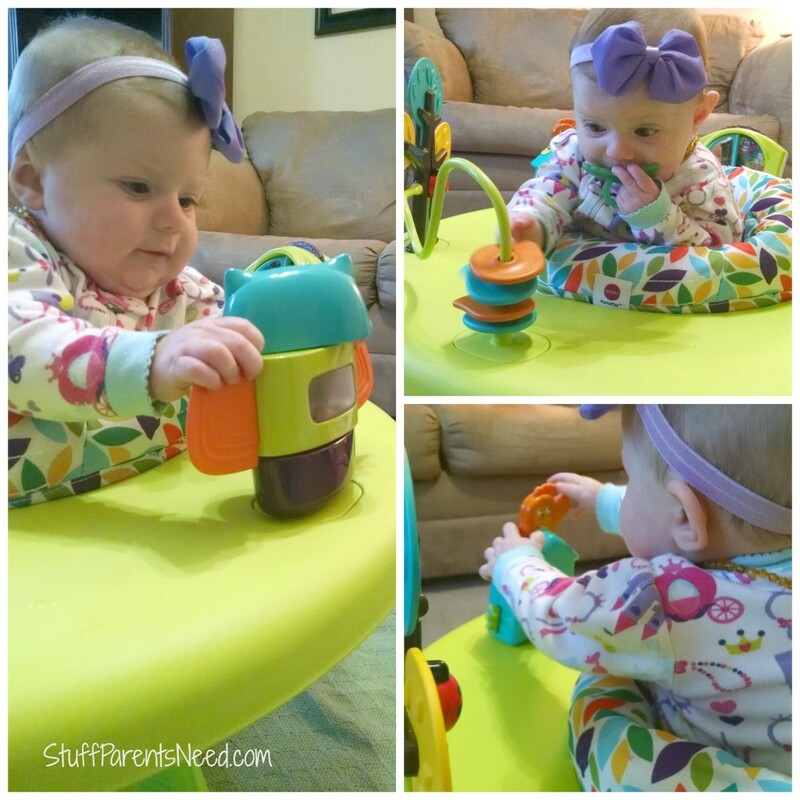 Some serious baby fun is going on RIGHT NOW over on Stuff Parents Need! It’s amazing how fast babies grow. People tried to warn me that it would happen in the blink of an eye, but you don’t really begin to believe them until it starts happening to you. I’ve ugly cried quite a few times already when putting up clothes and toys that my baby has already outgrown. She’s just 6 months old, y’all! 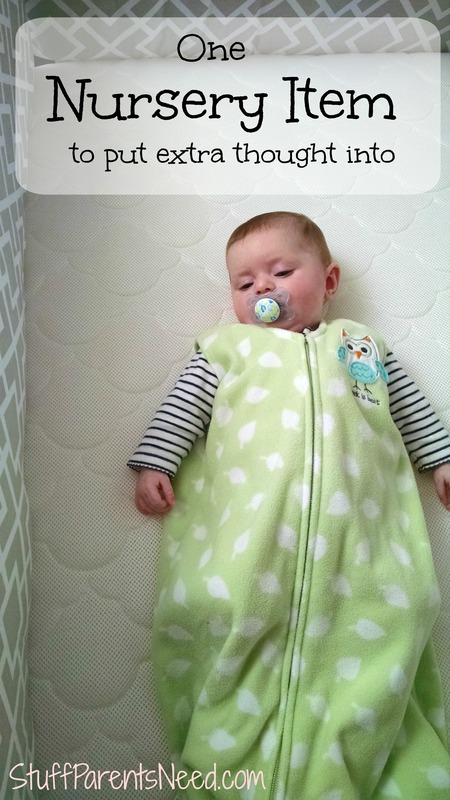 We’re guest posting about it over on Stuff Parents Need right now! You can see our full review and more pictures of our little love bug here. Head on over and take a look! Alright, y’all. Let’s talk a little bit about teething. Anyway, back to teething. Wooho! My little Drooly McTeetherson child is constantly gnawing on her fingers to try and get relief, and sometimes she tries to fit her whole hand in her mouth. I can really tell when her gums are bothering her and it breaks my heart. Sure, we have a few different remedies that help a little, but sometimes even the strongest teething salve just doesn’t seem to touch it. I’m not here to bring you life changing advice or to offer a supreme remedy for teething, unfortunately. (If you know of one, though, please share!) However, I am going to share with you 4 little things we just couldn’t live without during this season in our lives. We have TONS of teething toys for her, but we have a choosy little one on our hands. She’ll typically gnaw on other teether toys for a few seconds and then toss them, but she has 4 specific teethers that you’d think might as well be her BFF for life. Seriously. These are the teethers that make our world go round. The ones that I probably should have more than one of…as in one for every room in the house. The ones that I would probably definitely cry a little if I couldn’t find it. 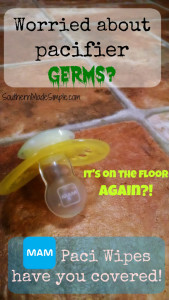 If you’re a parent and have had a fussy teething baby, you probably know exactly what I’m talking about. Made of the highest quality baby crack on the market, this little teether will likely never leave your baby’s side. SERIOUSLY, y’all. I don’t know what this giraffe is made out of, but it’s like a moth to the flame with my child. The texture is almost flesh-like. Seems a little weird to me, but if she likes it, I like it! It’s certainly on the pricey end ($19.99), but it’s worth its weight in gold in this house. We actually inherited this teether from someone. I’m not sure if it previously belonged to my sister’s children, or if a friend of ours gave it to us in a box of baby stuff she wanted us to have. Whoever it was, THANK YOU! Let’s high-five, because this one is a home run! It has 4 different teething textures for baby to chew on, and our little girl loves trying out each one. It’s super easy to grab and hold on to, and she loves to wave it around in the air. These also come in a two pack are are usually priced at around $12.00. 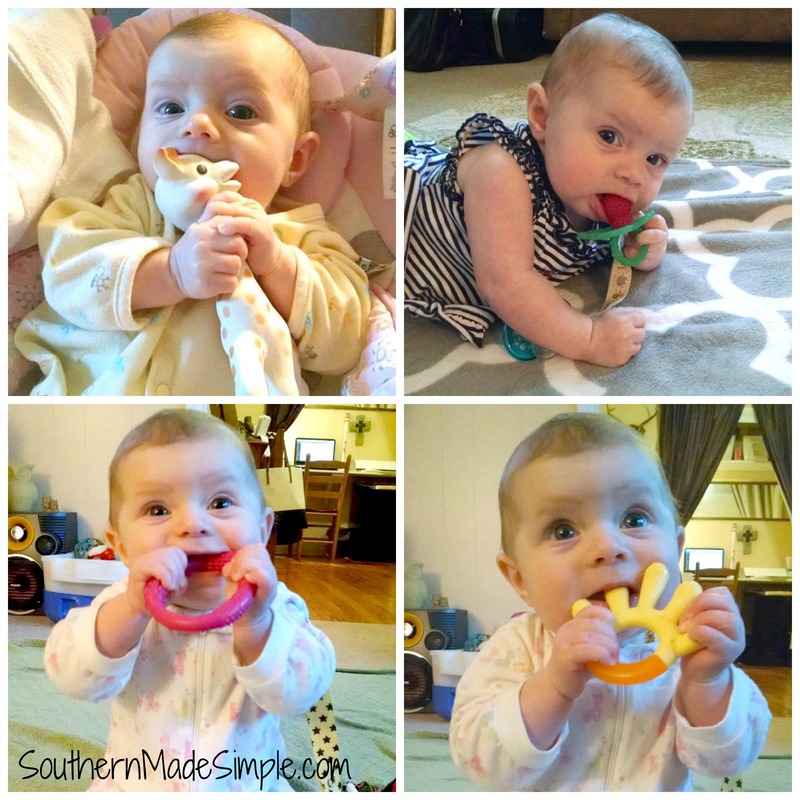 I hope this little teething toy guide helps out the teething baby in your life! 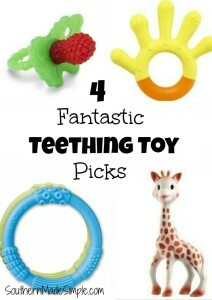 These are the top 4 teething toy picks that have worked the best for us. 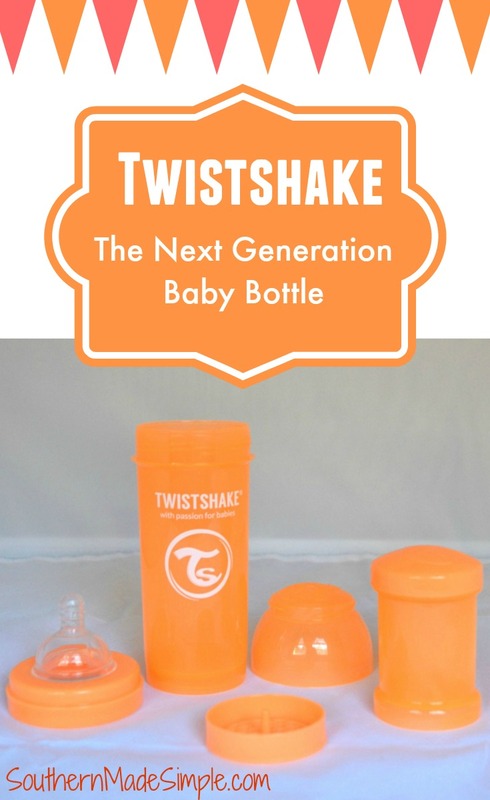 If you have a baby registry or are looking for a great gift to give for a baby shower, I encourage you to consider these! What teething toys does/did your little one love to chew? Did any of the ones I mentioned make your list? I’d love to hear what works or has worked for you! When I was pregnant with my daughter, I put so much thought into how her nursery would look. 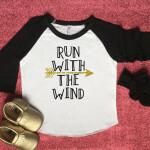 I spent hours finding the perfect bedding and researching other items that she would need to make her nursery complete. Unfortunately, I didn’t put much time or thought into one very important item. 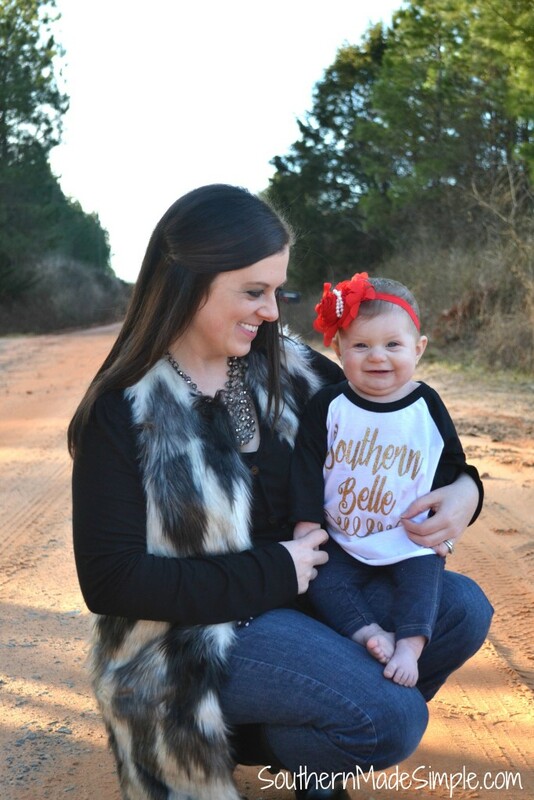 I’m sharing all about it over on Stuff Parents Need right now! Head on over and take a look! While you’re there, leave a comment and share your thoughts. I’d love to hear what you think! 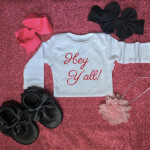 See what other exciting baby items I’m talking about by visiting here! During my pregnancy, one of the things on my humongous to-research list was baby wearing and baby carriers. I watched my sister and brother-in-law carry both of their girls in a baby carrier, and it definitely piqued my interest. I loved the idea of holding on to your baby while having both hands free, but I was skeptical that it would only add unnecessary exhaustion and back pain. Once I started my research, I looked heavily at BabyBjörn brand carriers. I was very fortunate to be gifted with a few baby carriers during my pregnancy. 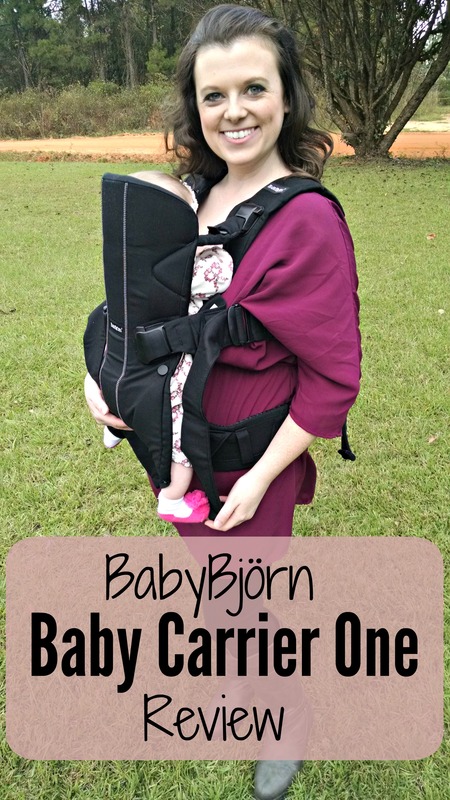 I currently have 3 different BabyBjörn models that I love very much, but the all-star out of the bunch is definitely the BabyBjorn Baby Carrier One. Because of it’s ability to grow with your baby from newborn to age 3, it’s marketed to be the only baby carrier you’ll ever need. It’s a pretty sweet deal, honestly! No infant insert required! This carrier has a neat little zipper feature to allow you to adjust the height the baby will sit at depending on their size. Remember that back pain that I was concerned about? It doesn’t exist for me with this carrier. It just doesn’t happen. And I’m SO THRILLED about it! The support straps are very thick and padded, making this carrier super comfortable for myself and my daughter. When the straps are positioned properly, they help to evenly distribute the weight of the baby, making it easy on the ol’ back. This carrier has been tested by the International Hip Dysplasia Institute and allows for the baby’s hips to be held in a position where the legs are angled outward. This is an important feature to look for in a baby carrier as it helps promote healthy hip joint development. Babies spit up. They just do. If you use your carrier regularly, it’s going to get dirty, and depending on the babies age, it’ll get spit up on. Some products like this require you to hand wash and spot treat. But seriously, y’all. Ain’t nobody got time for that! I love that I can just toss this in the wash and not worry about it! There is also a way that you can fold this carrier up into a neat little compact square for easy storage that takes up minimal space. For me, asking me to fold something up neatly immediately makes me feel anxious and sort of defeated. Luckily, folding up this carrier isn’t that hard. It also helps that I have a hubby who’s incredibly patient with me and helps me with this sort of thing. Thanks, love! It’s very simple to get baby in and out of this carrier. Check out the instructional video from BabyBjörn below. It really gives a great demonstration of how to easily and effectively use the Baby Carrier One. There’s even a few helpful tips and features at the end! The BabyBjörn Baby Carrier One is currently available on Amazon for just $105.73, marked down from $189.95. If you’re currently on the market for a baby carrier, I think this is a wonderful option! What are some features that you look for in a baby carrier? Have you ever tried BabyBjörn products before? I’d love to hear about it! Disclosure: Southern Made Simple is a part of several affiliate advertising programs. This means that if you click and/or make a purchase through certain links on this site or any related social media platforms (including Twitter, Facebook and Pinterest), I may make a commission from that click and/or purchase. Although I participate in these programs and have sponsored posts, all opinions are my own.